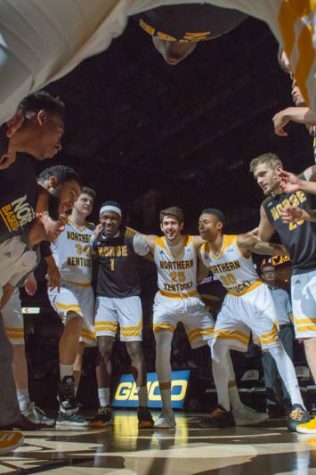 In its first full season of Division I membership, the NKU men’s basketball team’s outstanding season has garnered national attention. With a 21-win regular season and an appearance on ESPN’s SportsCenter complete, the Norse now set its sights on its next goal: a Horizon League title and the automatic bid to the NCAA tournament. After completing a four-year transition in which the Norse were barred from making the tournament, NKU appears built for March success. John Brannen has turned the program around in just his second season. After winning just nine games a year ago, the Norse are now three wins in Detroit away from the Big Dance. Here is The Northerner analysis of the Horizon League men’s basketball tournament. 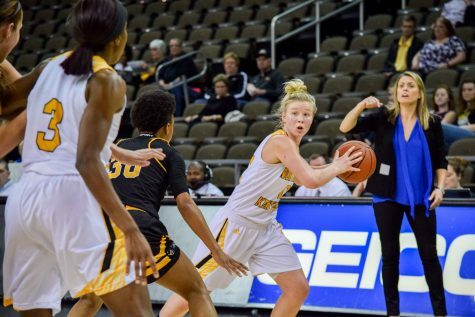 NKU, as the fourth seed, will open in the third round at 7:30 p.m. Sunday against fifth-seeded Wright State. If they win, they will likely play top-seeded Oakland in the semifinals on March 6. The Horizon League instituted a new bracket this season for the tournament. After having both the first and second seeds lose in the semifinals a year ago, the top two seeds will play in the second round against the winners of the games featuring the league’s bottom four teams. Games in the first three rounds will be streamed on ESPN3. The semifinals will be televised on March 6 on ESPNU, while the final will be televised on ESPN March 7. While Brannen recognizes the importance of conference tournament play and a possible NCAA tournament bid, he doesn’t want to underestimate the difficulty of regular season conference play. “In this environment in today’s society … it’s all about March Madness, and rightfully so,” Brannen said. “But to not recognize how difficult it is to go through an 18-game schedule where everybody knows what you’re doing. You’re going against high-level competition night in and night out. Competing in a league where likely only the conference tournament champion will advance to the NCAA tournament, Brannen believes the pressure to win these elimination games is unlike anything else in basketball. Despite two huge wins to close the season against Wright State and Valparaiso, Brannen believes his team isn’t playing its best basketball. Still, the Norse head to Joe Louis Arena with a high level of confidence. For Northern Kentucky to cut down the nets at the Joe, they must sustain a high level of play for a full 40 minutes. Far too often, the Norse have either started strong or finished strong, but rarely have they been able to play at a high level from start to finish. 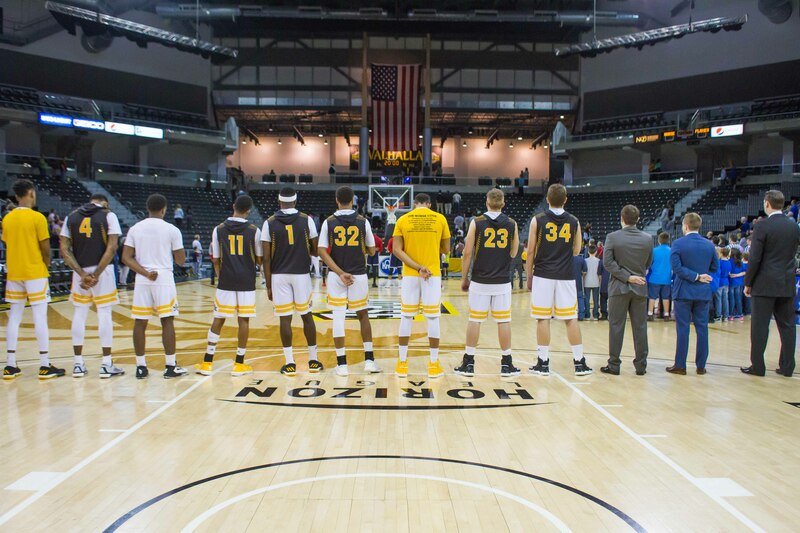 It is possible NKU might have to beat both Oakland and Valparaiso to win the Horizon League and go to the NCAA tournament. They won’t do that with an uneven effort. Part of a 40-minute effort is limiting turnovers. Brannen has admitted that a certain amount of turnovers are a part of the aggressive, 94-feet-both-ways style of play. However, turnovers which lead to easy buckets at the other end are the ones the Norse must avoid. To have success, NKU needs to keep its turnovers to fewer than 15 per game. If they can win the turnover margin by five or more, the Norse have a strong chance to be victorious. Finally, the Norse need its freshmen to play like veterans. Drew McDonald, Cole Murray and Lavone Holland II have played very well down the stretch, but they’re going to need help. If they can get strong performances from Carson Williams, Mason Faulkner and the rest of the supporting cast, the Norse could make its first Division I NCAA tournament appearance. It’s been a difficult season for the Norse under head coach Camryn Whitaker, posting a 9-21 record overall and going 5-13 in conference after going 19-14 and reaching the Horizon League semifinal game a year ago. Taryn Taugher (11) looks inside for Rebecca Lyttle (3) during Friday’s game against Milwaukee. depth led to increased minutes for everyone and forced Whitaker to get away from her six seconds or less philosophy early in the season in an effort to preserve the legs of her players. With a slower approach, the Norse struggled to score all season long and were only able to stay in games with their defense. NKU, as the seven seed, will open in the first round at noon Friday against 10th-seeded UIC. If they win, they will play two-seeded Wright State. The Horizon League instituted a new bracket this season for the tournament. The top two seeds will play in the second round against the winners of the bottom four teams. Games in the first four rounds will be streamed on ESPN3, while the final will be televised on ESPNU March 7. Head coach Camryn Whitaker won’t change the way they have been preparing all season for the Horizon League tournament. That however, doesn’t mean the coaching staff won’t be trying to include new looks to this Norse team. Whitaker hopes the team can forget the regular season finale against Green Bay, where the Norse lost 74-37, and refocus this week for the tournament. A tough end of the season isn’t likely to get any better in the Horizon League tournament for the Norse. Whitaker’s team has struggled all year long to score, and with the departure of Kasey Uetrecht for the season that is not likely to change. The Norse don’t have the athleticism to compete with any of the higher seeds in the tournament, despite having the fighting the spirit. In addition, they have only been able to play seven players (including Uetrecht) most of the season due to injuries. Even if the Norse get past Wright State, tired legs may prevent the Norse from moving further. The Norse could very well beat UIC, who is dead last in the league, but will have to play its best game of the season when they face Wright State. The Norse will have to slow the game down to almost a halt and limit possessions like they have done almost all season. They will also need more than one offensive threat to be competitive. Rebecca Lyttle, Taryn Taugher, and Mikayla Terry will all have to step up if they want any shot at advancing past the second round. That said, I just don’t see how this Norse team can advance any further than the second round.